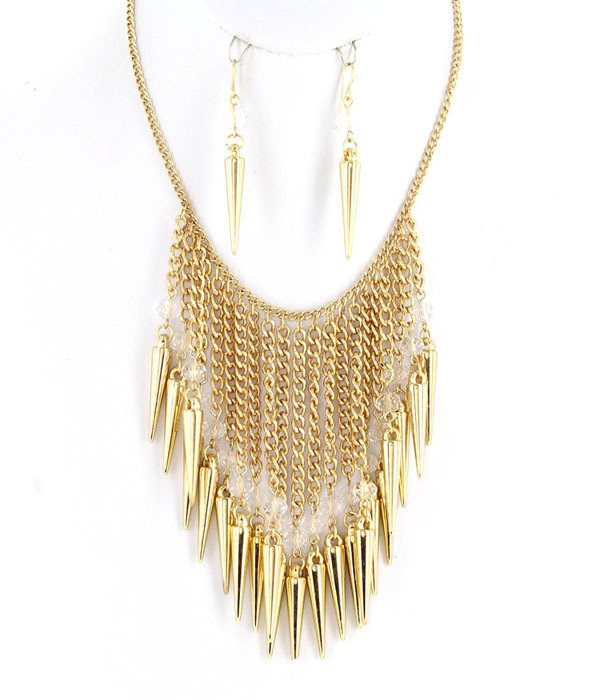 A waterfall of exquisite gold chains feature a clear crystal and a large smooth gold tusk at the edge. The earrings feature a pending tusk each, hook fastening. Wear it as a statement accesssory with a simple outfit. Spice up your favourite outfit with this lovely piece of fashion jewellery.